Back near the end of March, I posted a new reading schedule for myself. This is a marvelously helpful tool that keeps me on target for reading the review copies provided, the book club picks and then the books where I can’t stop myself from putting on hold at the library. So here were the books as listed in the March post that I was to read over the next coming months. The first five (5) below are the ones from the original list that I completed, or well, sort-of completed. All this Talk of Love, by Christopher Castellani: Finished this one, loved this one, this was a very good read! My review can be found here. LoveStar, by Andrei Snaer Magnason: This was for the Critical Era bookclub. Didn’t finish. Too out there for me. It was SciFi and again, it demonstrated why I have never been a fan. My “Did Not Finish” review is here. Smoke Portrait, by Trilby Kent: This was an easy-going, comfortable kind of read. I enjoyed it. You can read my full thoughts on it here. Studio Saint Ex, by Ania Szado: This one…it was just okay for me. It was a fictionalized account of the author of The Little Prince, his wife and his amour/muse/third wheel? It was a love triangle, but I found this triangle to be trivial. However, I will say Szado’s prose was a delight to read, just the overall impression of the book wasn’t anything that I was enamoured with. Full thoughts are here. 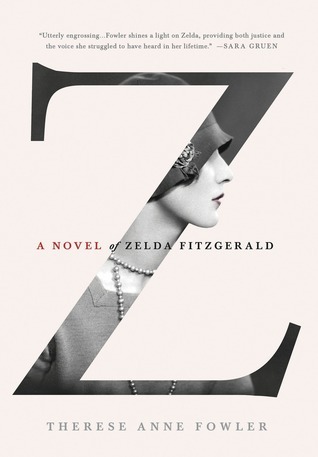 Z: A Novel of Zelda Fitzgerald by Therese Anne Fowler: The cover, oh so stunning, so striking! The story, for me, not as much. I was reading this while travelling for work, so I had plenty of time on planes and in hotels to read it, but I found that I had to put it away. I won’t be finishing it. Briefly, truth be told, I admittedly know nothing of Zelda Fitzgerald, but from reading Z, I see she was a well educated, born into an affluent Southern family, her father being a judge. Yet, Fowler’s Zelda came across as un-educated, extremely naive and her personality just didn’t seem to suit her upbringing? It was unfortunately not a story I wished to continue with, so I’ve put it away. It’s okay, it happens sometimes. Geepers! That’s still a lot of books to finish! 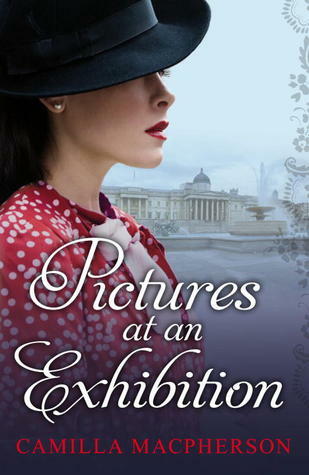 I’m currently reading (and enjoying so far) Pictures at an Exhibition. This was sent to me by the author, Camilla MacPherson and is about a woman that comes across letters written to her husband’s grandmother during WWII. But, that must mean there were other books that popped up during this time, right? So, which did find their way in to my hands that had me deviating slightly from my schedule and not allowing me to get to those three other books listed above? 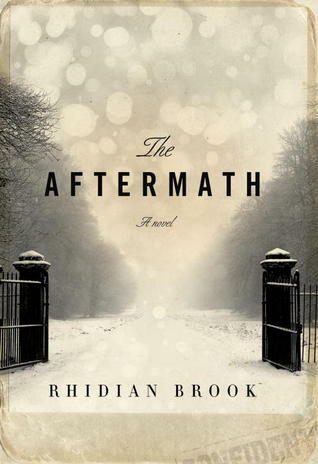 This was the other book for the Critical Era bookclub. 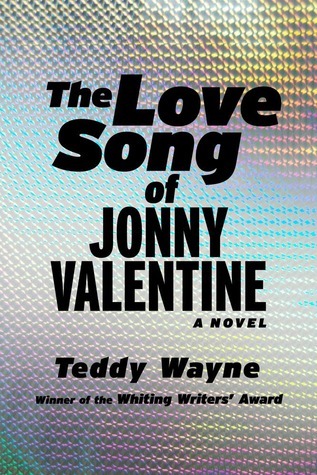 We also spoke with Teddy Wayne about The Love Song of Jonny Valentine. I had no plans to actually read this one, but I’m very glad I did. I was surprisingly sucked right in to this one and read it in no time! Teddy Wayne’s book club talk on the other hand left me wanting. One got the feeling he was felt far superior to us and the time spent talking to him about the book (that is soooooooooo much about Beiber but apparently “irks” Wayne when that comparison is made) left me not finding any charm or wit in Mr. Wayne. And, um, I’m sorry, but when you so thinly disguise Beiber’s life (right down to the hair, the girlfriend and the heart-shaped swing, etc, etc., for the list goes on and on) and demeaningly impress upon your readers it has nothing to do with him and that you find this so bothersome, you come across as a douche sir. Sorry, there it is. I couldn’t hold that opinion back any longer. But, overall, this was a very, very enjoyable read! You cannot deny that one. My review is here. 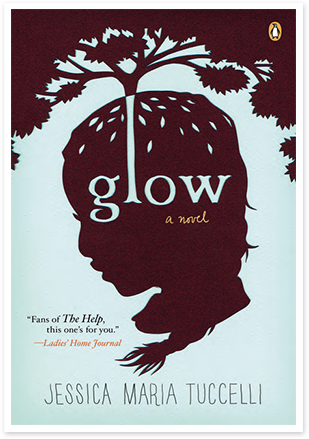 Glow, by Jessica Maria Tuccelli came to us from Penguin/Viking to review and also to offer a giveaway on our site. I thought it only appropriate to read it while the giveaway was going on. Wow, this was an excellent read. 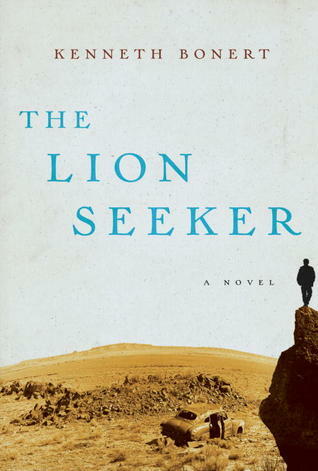 This novel gave me no problem or guilt in deviating from the original reading schedule at all! You can read me gush about Glow here. 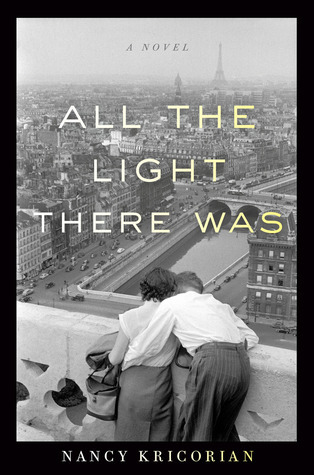 All The Light There Was, by Nancy Kricorian was originally advanced to us by NetGalley. It came in as a PDF so I waited for it to come in from the library. Again, here’s another wonderful, wonderful book that had me deviate from my schedule, but gave me absolutely no guilt in doing so. 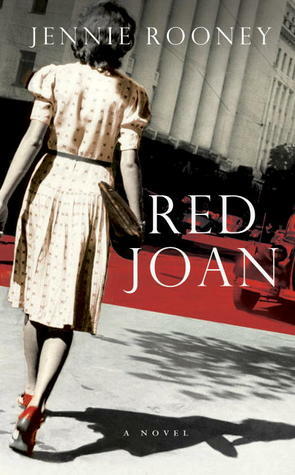 This is a beautifully, emotionally and well-written story of an Armenian family surviving daily life in Nazi-occupied Paris during WWII. In particular, it is about Maral. She is a admirable heroine. I lovingly wrote of All The Light There Was here. Frances and Bernard, by Carlene Bauer. Fabulous audiobook! Full thoughts here. Little Wolves by Thomas Maltman. Unfortunately, this novel would be best appreciated in its book form. The audio did not encourage enjoyment of Maltman’s gorgeous prose. Link to review here. Chanel Bonfire, by Wendy Lawless. Narrated by Wendy Lawless. A story at times far too close to home, but all very good! My thoughts here. 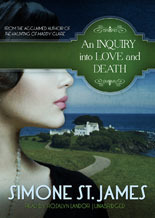 Currently, I’m listening to An Inquiry into Love and Death by Simone St. James. I really enjoyed St. James’ first novel, The Haunting of Maddy Clare. It is characterized as Maisie Dobbs meets Ghost Whisperer. Hello. I was all over it. Again, St. James takes us on a ghost-hunting adventure. I actually won An Inquiry into Love and Death from St. James’ website but when the audiobook came up, I went with that format instead. Unfortunately, all too often I’m left thinking I may have to switch over to the book format. Rosalyn Landor simply isn’t doing it for me here. Jillian is a young student at Oxford and Landor makes her sound as though she’s 42, and not the 22 she actually is. Also, I really, really, really cannot stand forced male voices. It completely denies me the ability to focus and listen to the story, rather, I’m too focussed on overcoming my frustration at an awfully read male voice. And, again, the dashing and handsome Inspector Merriken is a young man but under Landor, sounds like a 65-year-0ld stodgy fart. So there you have it. This is how I’ve progressed so far in my reading schedule. Since then, more and oodles of books (wonderful, wonderful titles) have come in! I want to get to them all! But, I will still see myself to the end of this reading schedule first. Then, I can move on and get to all those other goodies! 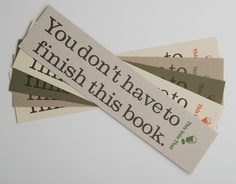 I love that you will put a book book down if you’re not enjoying it. I’ve been trying to do that more, but for some reason I am a slave to finishing a book. It makes sense to me that if you didn’t enjoy Z, you probably wouldn’t enjoy Saint Ex either. I really liked Z, but I am fascinated by the Fitzgeralds and their crowd. I haven’t read Saint Ex yet, but I expect I’ll like it. It does seem odd to me though that there are all these fictionalized accounts of women associated with famous writers popping up right now – Frances and Bernard, Z, Saint Ex, The Paris Wife …. I originally read Jonny Valentine (which I loved!) as part of the Critical Era bookclub, too, but wasn’t able to take part in the video chat. Now I’m SO glad I missed it! What a disappointment, when a group is going out of their way to focus on and praise your work, to come across that way. Ick.